Dr. Wolfgang Heubisch holding his speech at the inauguration ceremony. In his speech, LMU-President Bernd Huber described the project as a successful example of how well the Bavarian universities cooperate to move this very important research field forward. “I think we face major challenges when it comes to the future energy supply. The idea to convert solar energy into electricity and fuels is fascinating," said Huber. The start of the project was initially coordinated by the LMU. Its President Huber pointed out that the five participating universities are equally involved in the project. In 2013 the University of Würzburg will take over the lead in the group. The energy project is designed such that young scientists will especially benefit from it. Minister Wolfgang Heubisch emphasized in his speech: “The research themes will also be integrated into the teaching programs of the universities, to train young scientists and to help them get involved in the research projects. 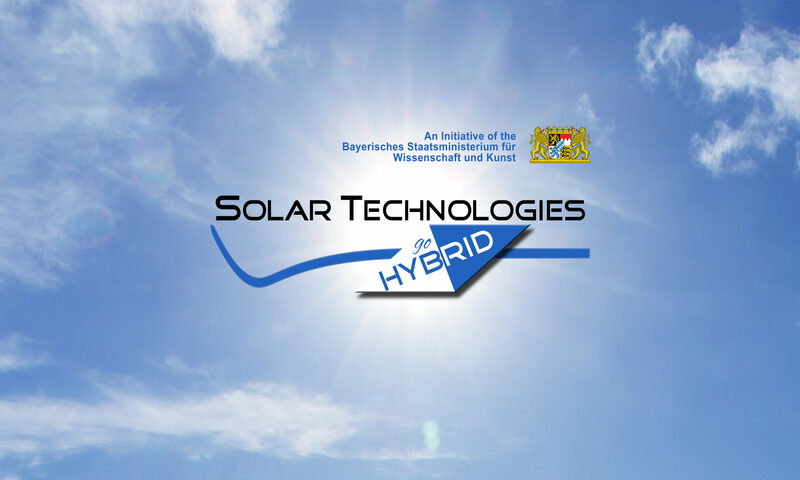 We make a conscientious effort to prepare young minds for making long-term contributions to energy conversion strategies.” To cope with the challenging requirements of solar energy conversion, the Minister also views it to be essential that industry adopts innovative scientific solutions and converts them quickly into new technologies. Newly designated “Key Labs” within the five universities will act as integrated research centers with an international reputation for scientific excellence. The new labs will complement the existing research interests and will enable further collaboration within the network. Thus, as an added value of the investment, the initiation of future cutting-edge research projects between the participating sites will be made possible.